What’s $100 Worth in California vs Wisconsin? 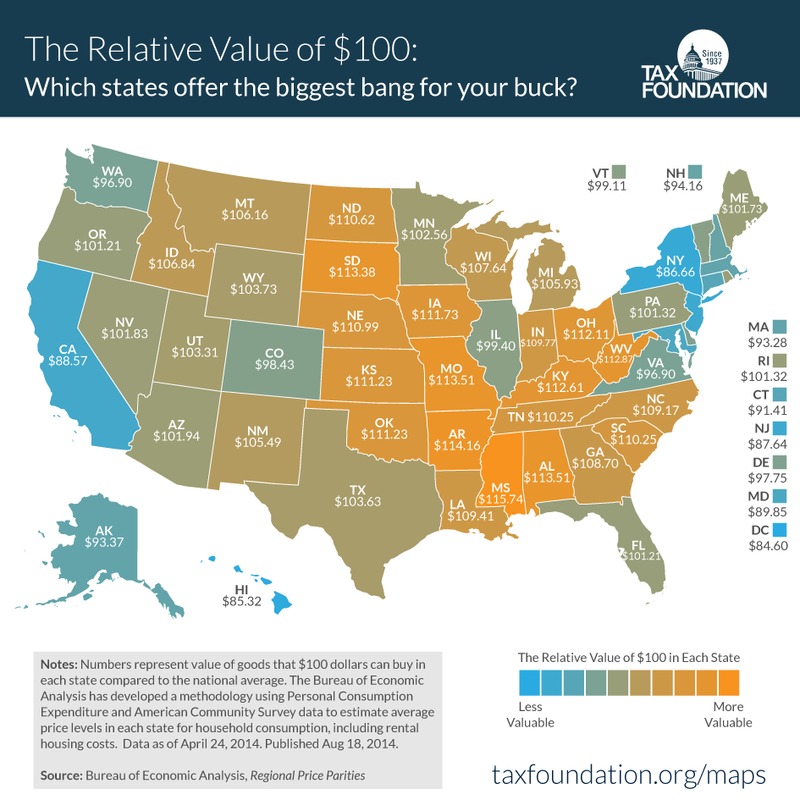 Taxfoundation.org released this map showing the relative value of $100 across the United States. To paraphrase the article: Average prices for similar goods are much higher in California than in Wisconsin, so the same amount of dollars will buy you comparatively less out here. The difference from Wisco to Cali? About $19. Damn! [T]he mean temperature was between (55° F and 75° F), the minimum temperature was above 45° F, the maximum temperature was below 85° F and there was no significant precipitation or snow depth. After a winter like this, maybe LA won’t be so bad. Which LA Neighborhood is Right for Us? 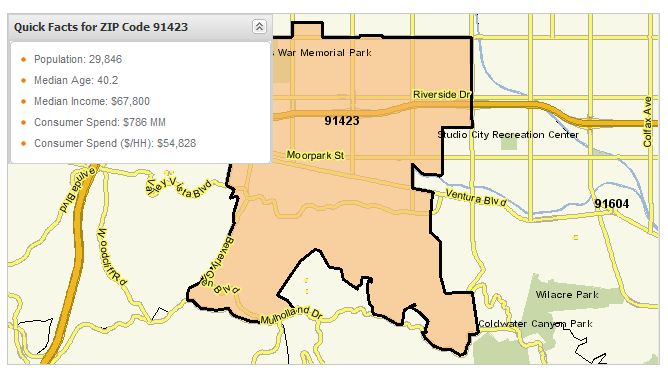 Darin’s new job is located in Sherman Oaks, CA (91423 ). Since we know where he’ll be working, we’ve been taking time to research where we should be living. Ideally we would live right in Sherman Oaks, because the commute would be short. But what are our options? What about price? Crime? Naturally, the second I found out where the office was, my marketing senses started tingling and I went searching for demographics on the area. Data is the best way to calm a queasy stomach. I started with the Prism Cluster demographic info at Nielson. I’ve used this many times for work, and figured it would be a good place to start. Nielsen’s lifestyle segmentation systems define every household in the U.S. by distinct lifestyle types, called “segments”, to provide you with a comprehensive picture of who lives where and what they are like. Lastly, Reddit was a great place to hear individual’s advice – as usual. Don’t estimate a local’s valuable point-of-view. One kind soul informed me that “for anything reasonably priced, you’ll need to move very quickly (like same day) to be able to get an apartment.” I was pretty freaked out by that, but hey – it’s better to be prepared, right? We’re still going to try to live in Sherman Oaks, but at least we’ve got more data to back up that decision. We’ve also got data on nearby neighborhoods, in case we can’t find a place we like. I wonder where we’ll end up!